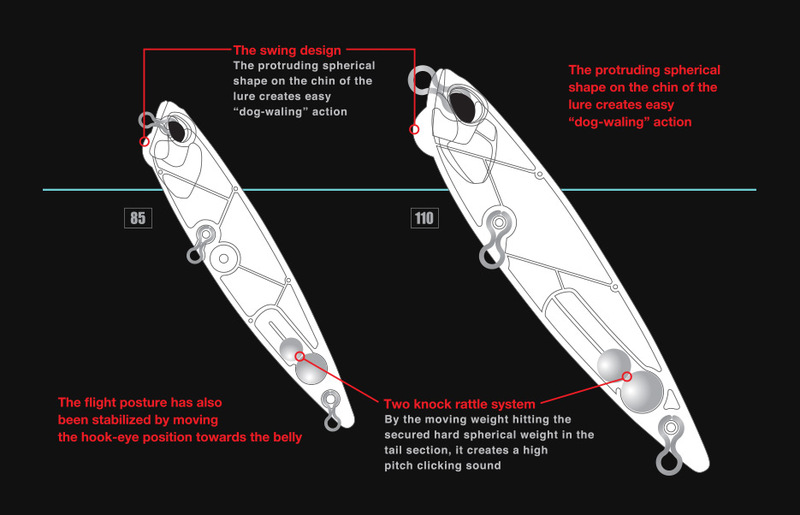 With the original 110mm on the market, which was easily controlled to dog-walk by any angler, we have added a model with more emphasis on the “bite”. In addition to the original characteristics of its castability, action and the sphere protruding from its face to improve the rotational performance, a smaller dog-walking action has been added to its values. It will not only be effective in searching a vast area, but will also produce you results in high pressure fields where a tighter approach is required. With the side-to-side dog-walking action inherited from the 110, the pencil 85 will produce a tighter action compared to its predecessor. The design of the body form and positioning of the tail hook-eye, reduces the air resistance allowing a stable flight posture. 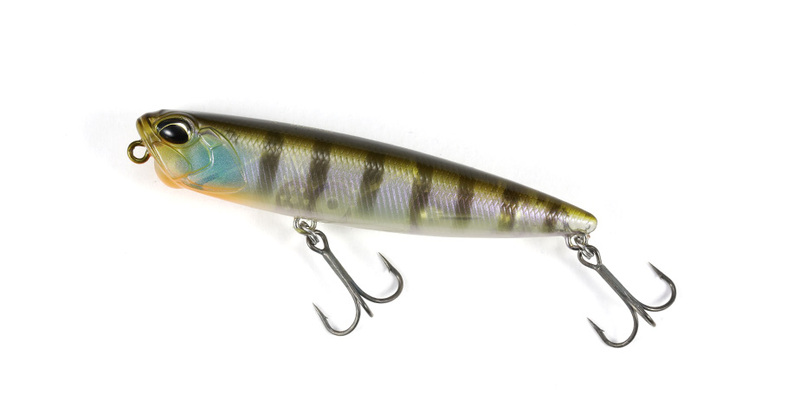 This results in greater casting distance without being affected by wind or casting styles. With its swing design, it stages a brisk and compact “dog-walking” action. By retrieving the line slag stronger than usual when the lure reaches the highest point during the “dog-walking”, the lure splashes the water forward while diving. By the moving weight hitting the secured hard spherical weight in the tail section, it creates a high pitch clicking sound. This appeals to the bass in various water qualities from muddy to clear.